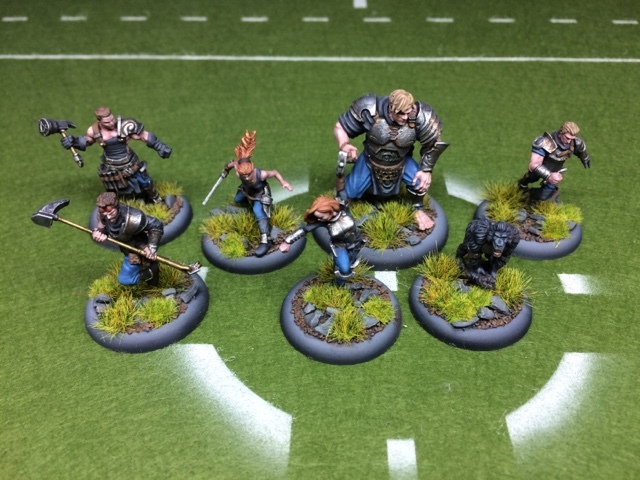 As the heading is saying, I have painted my first Guild ball team. My first team was the masons because they have to most appealing mascot Marbels that is some kind of gorilla or monkey. I also chose them because of their playing style. They are semi defensive but can score goals to. Their main strength is the combos between their players and you keep your team tight to benefit from this. 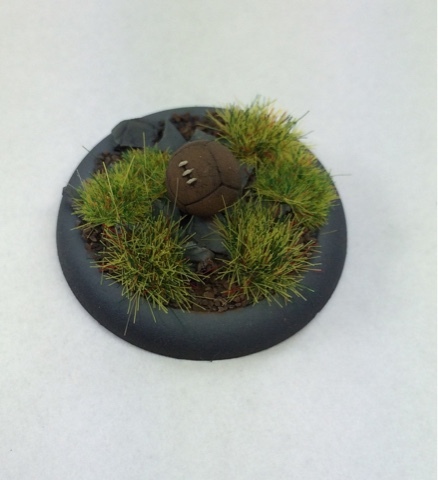 I have played two practices game on a small pitch and I like the behavior of the masoners and I really like Guild ball. It's a fresh new game that have allot of intensity and spectacular plays and happenings during a game. Also a big benefit is the short time it takes to play one ordinary game takes around 1,5 hours. So there is no problem to squeeze in two games in one night. I will comeback with more information and posts about Guild ball as a progress. So this is it for today. Next team on the painting table is the alchemists which are very different from the masoners.